I’ve been creating some things for classes and just figured I would share them. I did a food groups game and made some small cards for it, and I’m planning on doing a body parts game so I’m creating some resources for that as well. What makes kids motivated? And how can teachers and senior leaders get all kids working hard? In a five-post series, I’m exploring a few different ways of thinking about these questions. Last week, I borrowed from game theory and behavioural economics to illuminate motivation deficits and short attention spans. This week, I want to look at expectancy, emotions and trust. According to ancient Greek legend, Pygamalion invested so much love and care in sculpting a statue of the most beautiful and inspiring woman he could imagine, that the gods fulfilled his hopes and metamorphosed her into reality. Teachers’ expectations have an impact on pupils that is hard to overstate. In 1968, Rosenthal & Jacobson ran a landmark experiment. When teachers were told that top sets were actually bottom sets, results declined. When teachers were told bottom sets were actually top set, results improved. When the Common Core State Standards emerged, it was both a shock and a revelation — for the first time, the dominant model said that my students, who live in low-income neighborhoods and are predominately Hispanic or African American, would have some guarantee of the same kinds of educational experiences that students at high-performing schools across the country have. All students would be asked to do the hard stuff—and reap the benefits of those high expectations. This time of year I tend to think a lot about gratitude. I’m grateful for Alethea’s help this year. I’m thankful to all of the individuals and teams that allow us to do our good work. I’m grateful for Christine and her cafeteria team for keeping us well fed and happy with cookies during long meetings. I’m thankful for Barbara’s hard work. I’m thankful for Elizabeth who cleans my office each evening. I’m grateful for all of the acts of kindness. Mindset again, amazing how it affects so much! 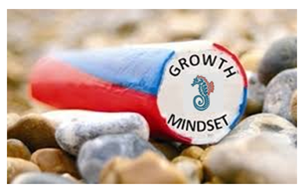 Today I led the second of our new breakfast ‘vision meetings’ – looking at how we can continue to embed a growth mindset across the school. These are voluntary meetings where members of our leadership team share their vision, for an aspect of work that they are responsible for, with a group of interested staff, who then give their input into how to best implement the vision. We’ve already done a great deal in terms of mindset and sharing excellence across the school – but we want to do more. 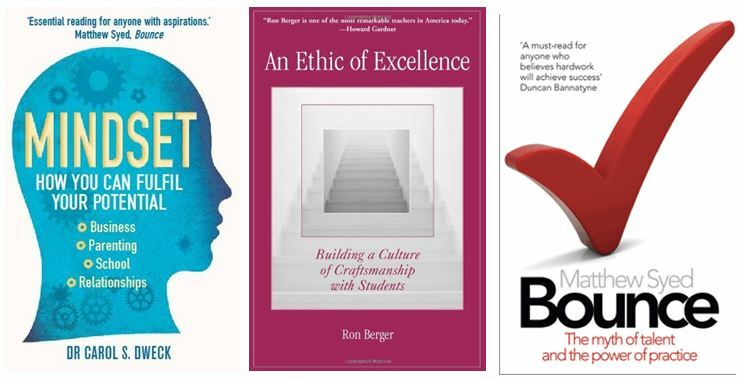 So following a discussion on what we’ve achieved so far, based on the ideas from the three great books below, staff at the meeting were asked to think about how else we could develop this further. Edutopia published an article about teaching grit and growth mindset – two things I will most certainly teach (or at least start teaching) within the first few days of school. At this point, I’m basically just re-blogging from the original source, but one of these days I’ll have actual lesson plans to post. I hope.